I am a thirty-something mom with two young children. I’ve been married to my illustrator/tattoo artist husband for 9 years and counting. 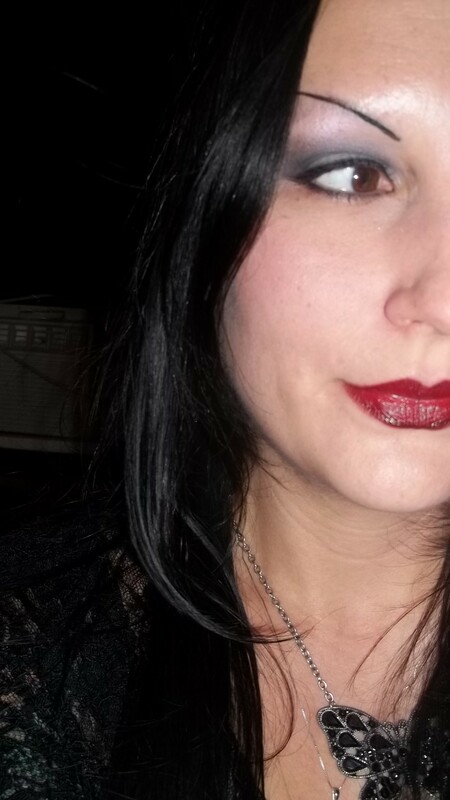 I have a weakness for makeup, a fondness for the “dark side” both gothically and Star Wars-ily, a passion for living well and a dry sense of humor. I learned to do makeup in theater during high school and college. I have worked as a makeup artist for Studio Gear cosmetics at Ulta stores. I have also done makeup for various print publications in Austin, TX. I worked in the salon/spa industry for ten years before I became a work at home mom. I now run an ebay store and take care of the crumb-catchers. Some interesting facts: I worked at the Medical Examiners office (the morgue) for a year in college, have a degree in physical anthropology and am a Texas native. Welcome and I hope to share some cool stuff and ideas with you.